much appreciated for all the welcomes and comments. Nice place here already. The future could be bright!!! Cheers all round. G’day and welcome. The split structure of WP (chat separate from the profiles and writing) is a poser at first. I get tired of chatty teens who don’t seem to know much of anything and writers who are narrowly focussed on a genre to the exclusion of all else. But there are interesting people with worthwhile comments, and flashes of genuine humour and wit. This thread is among the best I’ve found for conversation, so I try to keep it active. Welcome. Don’t mind the youn’uns. We sure don’t! Everyone gets frustrated with writing. Pull up a (cyber) chair and stay a while. I’m not sure if I wrote this right. Too many commas? Not enough? Allie’s younger sister Kelsey, and older brother Danny, had both left home when they turned eighteen. Come and get in on the fun! Saw JP Sears live this evening. It must be hard to keep the humor coming for 45 minutes and bounce around anything that’ll make people laugh yet try to keep a common thread to it all. His videos are much better, in part because he can stick to one topic and keep it short. Have any of you lot ever tried comedy? Our boy-man has tried it a few times. He runs his stories by us and we’re usually like, “Em, no, not a great idea.” I think at this age he forgets the audience has every decade in it, so you can 't be really crude and expect people to find it hilarious. I can tell great crazy stupid stories, and crack up the whole room. The problem is, you see, that I laugh too much at my own jokes. Plus, some people don’t realize that doing Comedy s hard! I might join that. I might also get teaching flashbacks if I go there. Nearly everything I say is a joke, but nobody laughs. Kept waiting for him to take a bite, but he wasn’t that far into it. My favourite bit was the end, where a doggo went after the meat he’d been waving around. The idea of doing a stand-up comedy gig makes me shudder. You’d have to relish being the centre of attention and be able to project a strong personality or character. You’d need an acute sense for the mood of an audience. You’d need a quick verbal wit, so you could respond to crowd comments and cues with zingers. You’d have to be able to restrain your temper when people say awful things or yell insults, and ideally turn that to comic ends. There’s no way I could do all that while being stared at by a crowd. I’d probably dash offstage howling. Friends have lent me DVDs of Eddie Izzard and Sarah Silverman, and I like watching them. I die laughing every time I watch it. I remember the last time I saw a comic, when I was on a cruise through the Caribbean . He was kind of flailing, so he turned to the audience. A couple right in front of him stuck up their hands. They said something like Kentucky. It was hard for me to hear them because I was sitting behind them about a dozen rows. The cruise itself had pulled out of Galveston, in Texas. They said no. They drove. The crowd kind of groaned. “That’s a long way to drive. And you say you’re newlyweds?” He berated the guy a bit, in fun, for not springing for airfare. That grew a huge response from the crowd. “How many people are we talking about?” the comic asked. The crowd began to laugh. “Ask them after they drive home,” I said, to which the crowd then roared. I’m from New Zealand, were you born here? Just saw this about growing up in NZ. We only recently started getting jaffa cakes, it’s more a English thing. Heard that: Just Another Fecking Aucklander! I was born in Wyoming. My parents were grad students at the university: he was a Kiwi (Mäori) and she came from a ranch in southwest Wyoming. They divorced when I was very young, but after Mum got her law degree and clerked for a bit, we moved to EnZed when I was eight. We were caretakers for a property between Governor’s Bay and Rapaki, on Lyttelton Harbour: not far from ChCh, but it felt pretty remote. I went to local schools and Mum worked at U. Canty, on Crown Land Trusts, resource management, and indigenous land rights. When I was twelve, we moved to Auckland where she had some fiddle at the law school. We had a loft flat in Grafton, overlooking the hospital and a block from the Domain, with matai floors and a baby grand piano. Couldn’t stand up in my bedroom, but no worries. I really loved Auckland. Sailed a lot, started working on boats at the RAYC and Westhaven, and blossomed into a K-Road Riot Gr-r-rl skate punk. When I was in my last year of senior college, my grandparents died in an auto smash and we had to return to the 'States to make arrangements for the ranch. I’ve been here ever since, except for long visits to the GodZone. I was there for three weeks last spring. More than you wanted to know, I’m sure. Where do you live and what do you do for fun? 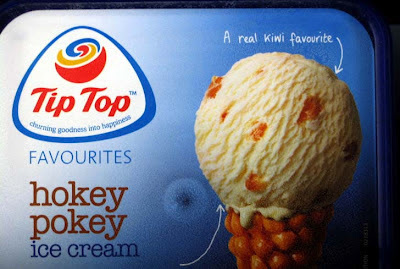 The NZ thing I recall is hokey pokey ice cream bars, from the wee dairy just east of the Grafton Bridge. I really saved the guy. Sounds like it! My hubby is super witty, but I only think of funny replies long after the event. When I was thinking about looking for a husband, I really only had two things on my list - short enough for kissing to not be uncomfortable with my 5’2" height, and funny. 29-ish years now. He looks like a sweetie! You too. I’m envious. When I was a punkette I had a chain sort of like that but it was chrome. Reckoned it might help out in a fight. He looks like a sweetie! You too. Ja. Me too as well. Whatta cupla cuties. When I went searching for a mate, I pretty much had only one criteria.